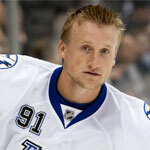 Steven Stamkos (born February 7, 1990) is a Canadian professional ice hockey player of the NHL. 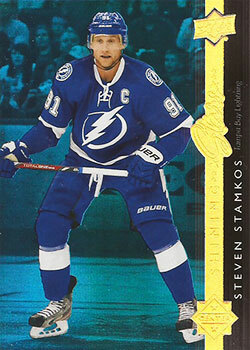 After a successful OHL career, Steven Stamkos was selected first overall in the 2008 NHL Entry Draft by the Tampa Bay Lightning, following the team's heavy promotion of him via their Seen Stamkos? website. 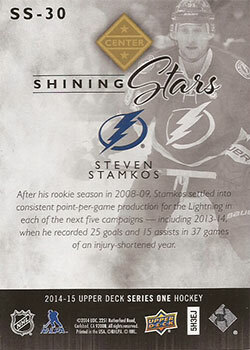 On July 29, 2008, Steven Stamkos signed a three-year, entry level contract with the Lightning, in which he could earn as much as $8.55 million in performance bonuses. 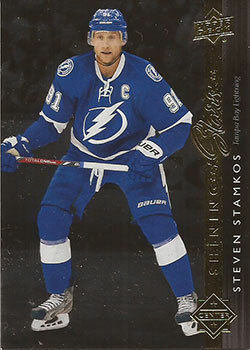 In addition, Steven Stamkos has a number of sponsorships, including an athlete’s agreement with Nike (terms not disclosed). 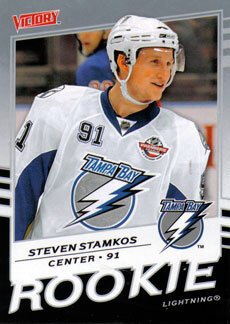 Steven Stamkos is featured in a web-only Nike commercial called Forget Everything which was released to coincide with his first game in his hometown of Unionville on October 28, 2008. He also has an endorsement deal with Tissot watches. 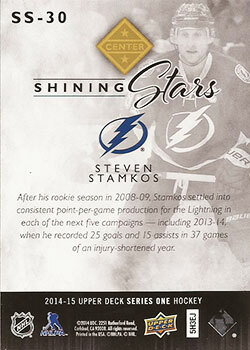 In January 2011, Steven Stamkos was named by the NHL to play in the 2010-11 NHL All-Star Game.